To eliminate health disparities and improve the number and quality of years of life for African Americans and people of African descent in Montgomery County, MD. African Americans and people of African descent in Montgomery County will be as healthy and safe as the rest of the population. Raise awareness in the Montgomery County community about key health disparities. Integrate African American health concerns into existing services and programs. 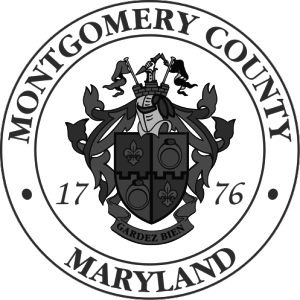 Monitor health status data for African Americans in Montgomery County. Implement and evaluate strategies to achieve specific health objectives. AAHP is funded by the Montgomery County DHHS and implemented by McFarland & Associates, Inc.
Bring together community partners and resources in a collaborative and effective manner to support AAHP goals. AAHP focuses on six major health areas: infant mortality, HIV/AIDS, diabetes, oral health, cardiovascular disease, and cancer. Services provided include outreach, health education, support groups, and nurse case management. The program is staffed by a wide range of healthcare professionals, including physicians, registered nurses, health educators, and community outreach personnel. AAHP operates in conjunction with a volunteer executive committee that provides strategic planning and advocates for increased funding. In addition to the committee, there are two community-based coalitions focused on infant mortality and HIV/AIDS. The coalitions work with AAHP personnel to provide guidance in their respective areas of focus. A separate workgroup supports diabetes-related activities. The AAHP Executive Committee is an advisory group that counsels the DHHS in its implementation and evaluation of the program. Members include representatives from community organizations and professionals from various fields, including healthcare, law, marketing, IT, politics, and finance.